Virtual Research Environments (VREs) are distributed and dynamic software environments that foster the collaboration of people from different disciplines by supporting the accomplishment of complex research tasks. VREs lack efficient and effective user interfaces able to satisfy the needs of the different types of people collaborating in performing certain tasks. Thus, a great challenge that VREs have to address is user diversity, which arises from different factors such as cultural background of users, their reasoning strategies, the way they carry out their tasks in their daily practices, and the languages and notations they are familiar with. This paper provides a solution to this challenge by proposing to create VREs that exploit the meta-design approach we have developed to design interactive systems that address user diversity. We then describe a mashup platform, built according to the meta-design approach, which supports non-technical users in accessing and manipulating information in VREs by enabling them to extract contents from heterogeneous sources and manipulate such content in their personal interactive environments, thus creating new content that can be shared among people collaborating to a task in a VRE. 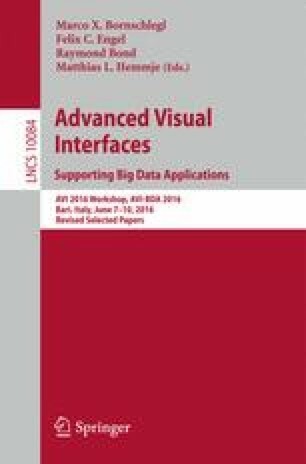 Finally, it is briefly discussed how this platform can be useful in some phases of the recently proposed model of Information Visualization for Big Data.